Has Caveat Emptor Been Replaced By Caveat Venditor In Sales of Real Estate? ​​​It is often stated that the purchase of a house is the average person’s biggest investment decision of his or her life. Because of the importance of the decision, a significant body of law exists that governs your rights and duties as a buyer or seller of real estate. That body of law has changed over the years such that buyers are afforded far more protection than they were previously when they purchased real estate. Indeed, no longer must the buyer beware; the seller now faces potential liability if certain disclosures are not made. Today, buyers and sellers of real estate need to be aware of their rights and obligations when buying or selling. ​Caveat emptor, Latin for “let the buyer beware,” is a legal doctrine that generally places the burden on a buyer of property to examine the property before purchase and take responsibility for its condition and any defects that become known after purchase. The doctrine can be traced back to sixteenth century English courts, but became generally accepted during the 1800s, a time during which courts considered the purchase of real property to be “a game of chance.” The courts reasoned that a buyer deserved whatever he got if he relied on his own inspection and did not extract an express warranty from the seller when buying real estate. ​Following World War II and the explosive growth in the residential real estate market, legal scholars began to advocate for the recognition of implied warranties in the sale of houses. Implied warranties regarding products had long been recognized in the sale of personal property. Application of caveat emptor to the sale of personal property but not to sale of real property thus offered greater protection to the purchaser of a $5.00 dog leash than it did to the purchaser of a $100,000 house. ​Most jurisdictions have abandoned ​caveat emptor in the sale of real estate noting that the doctrine is a vestige of the past when the buyer and seller were in equal bargaining positions and each could readily protect their interests. Today, however, the seller, broker or builder of real estate and the buyer of real estate are not in equal bargaining positions. The seller, broker and builder of real estate have superior access to information about the real property compared to the buyer’s access. Courts, therefore, have imposed an affirmative duty on sellers of real estate, real estate brokers and builders to disclose certain information including defects about real property to potential buyers. In light of this duty, caveat venditor, that is let the seller beware, seems to have replaced caveat emptor in real estate transactions. ​A seller and a buyer of a house should be aware that now caveat venditor governs the transaction. As a seller, you are required to disclose visible defects or hidden defects of which you are aware. For example, if you know that the basement of your house habitually floods, you need to so advise potential buyers. As a buyer, through your broker or attorney, you need to ask questions about the condition of the house and obtain in writing a statement from the seller or broker about the conditions and defects in the house. Even though caveat emptor has been replaced by caveat venditor, a buyer who does not inquire about the condition of a house may have difficulty recovering damages if a defect is discovered after the closing. 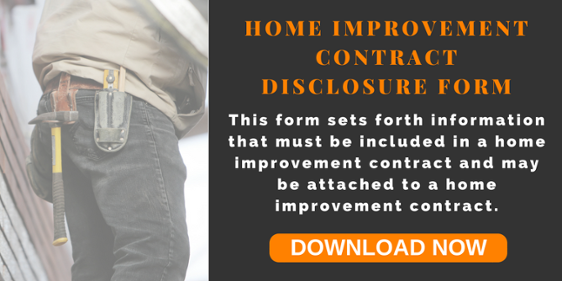 Comparatively, even without receiving inquiry from a buyer, a seller needs to disclose defects in the house. Taking these steps is the best way to avoid a problem in the future regarding the condition of the house that you either bought or sold. If you have an issue regarding whether you improperly failed to disclose a defect and a buyer is making a claim against you or whether you were not advised of a defect and you want to make a claim against a seller, builder or broker, you may reach out to Michael M. DiCicco. Mr. DiCicco, a partner at Bathgate, Wegener & Wolf, has successfully represented buyers and sellers of real estate involving disclosure issues in the sale of real estate. CLICK HERE TO READ Michael M. DiCicco's "The Basics: New Jersey Construction Lien Law"
On May 31, 2016, the Supreme Court of the United States issued its opinion in United States Army Corps of Engineers v. Hawkes Co., Inc. That opinion has significance because it addresses a jurisdictional determination made by the ACOE. The Clean Water Act prohibits the discharge of material into the waters of the United States. That prohibition can affect the remediation or development of property that is adjacent to water bodies or wetlands. In order to ascertain if the movement of soil will affect waters of the United States it is necessary to obtain a jurisdictional determination from the ACOE. A definitive decision as to whether wetlands or a water body constitute waters of the United States is binding on the ACOE and the Environmental Protection Agency (EPA) for five years. In Hawkes the Supreme Court held that an ACOE jurisdictional determination constitutes a final administrative decision which is appealable to a Federal District Court. That decision, thus, eliminates the requirement that before appealing an aggrieved party must exhaust all administrative remedies such as the lengthy and expensive process of applying for a permit to fill property or discharge material into waters of the United States. William Wolf, a partner in Bathgate, Wegener & Wolf, P.C. has significant experience dealing with the ACOE. For instance, Mr. Wolf represented a property owner that had been charged with filling wetlands and discharging material into federal waters. That activity required legal defense of an enforcement action in the United States District Court. Recently, Mr. Wolf, on an appeal, obtained a reversal and a remand of a decision of the ACOE denying permits for a proposed municipal marina under the Clean Water Act and the Rivers and Harbors Act. As a result of that remand and a long administrative process the ACOE eventually issued the necessary permits for the marina. Mr. Wolf is currently providing legal representation in relation to a commuter ferry terminal which will require permits from the ACOE. Mr. Wolf is advising another client on a project that may also require ACOE permits. Mr. Wolf represents property owners, developers and municipalities in all aspects of development, redevelopment and remediation involving state and federal permits. If you have questions regarding the Hawkes opinion or ACOE permits please contact Mr. Wolf at 732-363-0666. Why are the Bay Head Ocean Front Property Owners Opposed to the Dune/Berm Project Proposed By the State of New Jersey? Bathgate, Wegener & Wolf represents many of the Bay Head Ocean Front Property Owners (“BHOFPO”). Cumulatively, the BHOFPOs represented by the Firm own approximately one half of the oceanfront property in Bay Head. In furtherance of protection of their property and the property of others, the BHOFPOs are willing to give the State of New Jersey a license to erect a dune and berm on their properties (“the Project”). The State, however, does not want a license. Instead, the State is demanding that the BHOFPOs provide a perpetual easement over the properties, but has assured the BHOFPOs that it will not do anything that will change the “overall character” of the properties. So, what’s the problem? Why are the BHOFPOs unwilling to grant the perpetual easement? As is often the case in property rights disputes, the “devil is in the details” regarding how the “overall character” of the affected properties may change because of the Project and the easements that the State is demanding to complete the Project. There are many issues that affect individual property owners in different ways. Access to the beach and ocean without the ability of the owners to go straight from their houses or directly from their decks to the beach and ocean is a major concern for many property owners. For others, the loss of the view from the dune deck of the beach and ocean is a major detriment. The loss of privacy for some is a significant problem. The concern most often expressed by the BHOFPOs, however, is centered on the essence of private property rights: the BHOFPOs are fearful that they will be deprived of the right to protect their homes and property. Once the State of New Jersey and the Army Corps of Engineers (“ACOE”) is granted or takes the easement over the property, the State and the ACOE has perpetual and exclusive control to construct and maintain a public beach and protective dune. But there is no obligation on the Government’s part to do any replenishment of the beach, though all sides agree that the dune will erode away. Hence, the property owners will no longer have the right to spend their own money, either singularly or in a cooperative effort, to protect their homes and property. For many years, at their expense, the BHOFPOs have maintained a rock revetment constructed at +16 feet NAVD (historically, parts of the revetment date back to the 1880s). As proven by Superstorm Sandy, the original revetment works to protect property. During Sandy, houses behind the revetment were spared from substantial damage. Subsequent to Sandy, newer extensions were added to both the north and south ends of the original revetment. The revetment now stretches from Lyman Street in Mantoloking to the southernmost two properties in Point Pleasant Beach. The newest sections of the revetment are constructed at +18 feet in vertical orthometric height (NAVD) with large four foot granite quarry stones which weigh approximately 8,000 pounds each. (3) the potential replenishment project must satisfy a new cost benefit analysis (CBA). The original CBA supporting the Government’s dune replenishment project did not take into consideration either the steel revetment wall to the south in Mantoloking or the original revetment in Bay Head. Some experts say that these factors if analyzed as part of the new CBA would have made it impossible for the Project to satisfy the cost benefit analysis. The engineering analysis by the ACOE has not been updated to account for the hard structures erected post Sandy, which would substantially change the Benefit-to-Cost ratio (BCR) and would likely not support the expenditure of public funds currently expected for the Project. The State’s own studies confirm that the Corps’ BCR would be materially impacted. Faced with a total lack of assurance from the Government that they will be able to protect their homes, which is the most fundamental tenet of private property rights, the BHOFPOs, not surprisingly, are unwilling to provide the State and the ACOE with a perpetual easement over their properties. Historically, the BHOFPOs have achieved remarkable success in protecting their property and in turn, the property located west of their property. The Government is unable to point to a similar success story. In sum, “that’s the problem” with which the BHOFPOs are confronted.